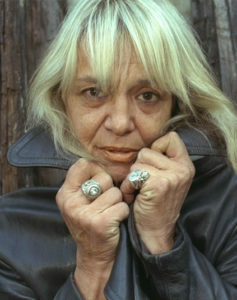 Anita Pallenberg was one of those It Girls of the 1960s. She managed to finagle herself backstage at a Rolling Stones gig, where Brian Jones met her and became besotted. 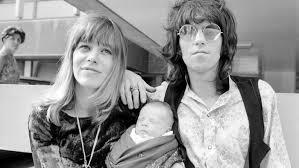 After a brief and violent relationship with him, she and Keith Richards fell in love, had three children (one of whom died at 10 weeks from pneumonia), took enough drugs that it was a miracle both survived, and moved on to become an actress, model, muse, designer, artist. I met her very briefly during one of the craziest weekends I ever spent back in the day, when Marianne Faithfull was in NYC to do a gig on Saturday Night Live after her brilliant album, Broken English, was released and became a surprise hit. Suffice to say that I can’t quite share the details of what went down…only that it was no surprise Marianne lost her voice for that gig. 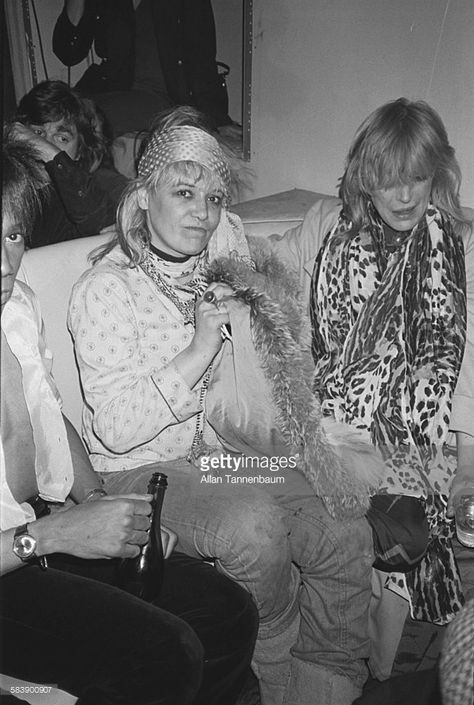 The appearance she made at the Mudd Club after that, with Anita in tow, has now passed on into rock legend. So when I think of Anita, I can’t help but think of Marianne, who shocked and thrilled me a few months ago when she Friended me on Facebook. Too many of the It Girls (and Boys) who were It when I was coming of age seem to be leaving us. It’s inevitable, of course, but it still takes your breath away when it happens.